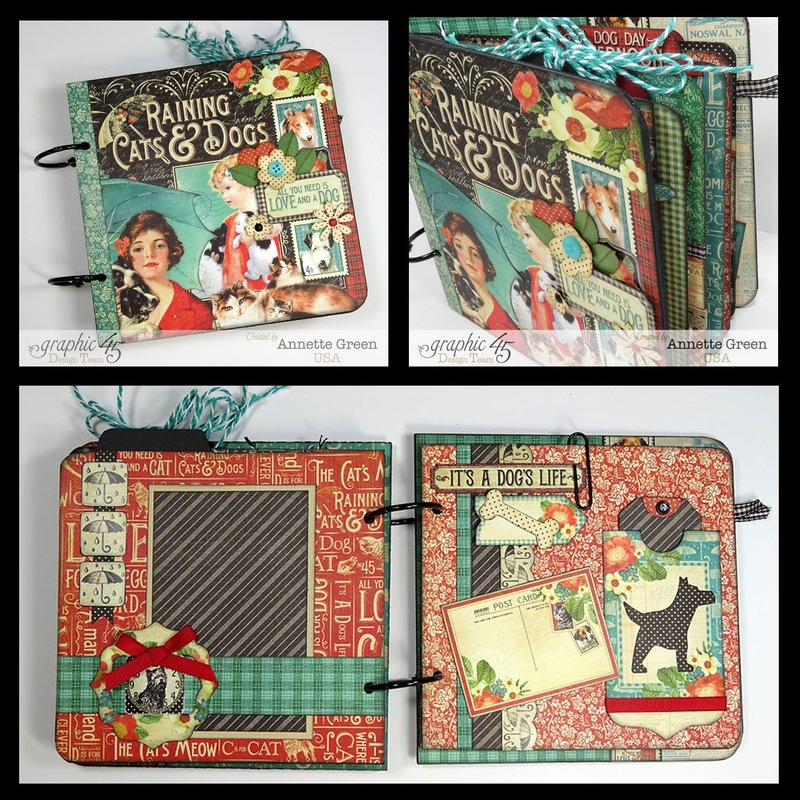 Annette's Creative Journey: Raining Cats & Dogs Board Book/Mini Album Class is Coming! 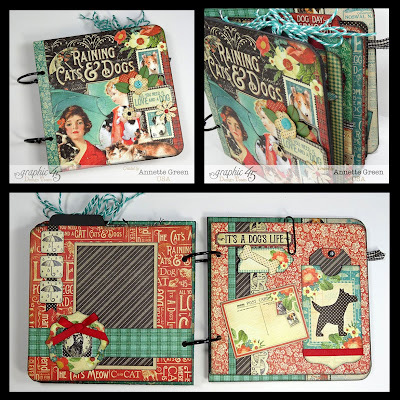 Raining Cats & Dogs Board Book/Mini Album Class is Coming! Hello and Happy Monday, bloggers. I hope you had a lovely weekend. Mine was chill, for sure, which is nice for a change. Sunday, May 17th • 10 a.m. - 5 p.m.
Each album contains 6" x 6" and 8" x 8" Raining Cats & Dogs papers, Pockets & Tags, 12 x 12 Sticker Sheet, all embellishments and die-cuts. Please specify DOG or CAT when RSVPing. Kits must be reserved no later than this Wednesday May 6th. Limited amount of kits available. Kits include photos and step-by-step instructions, plus pre-cut supplies and will ship on Monday, May 18th.